The idea that a first impression is vital is a huge part of staging and selling a house. 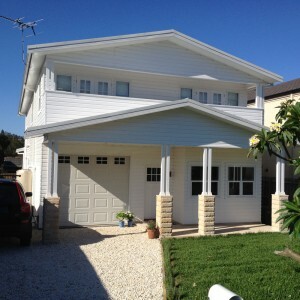 That can include the state of your exterior wall cladding, the condition of the driveway or even the landscaping. What a potential buyer first thinks about your house, before even coming in the front door, can color all of their opinions from then on. A poor first impression can easily overshadow any future interest in the new kitchen fixtures, the high-end living room flooring or the wonderful views from the bedrooms. There are any number of household improvements you can do to boost your "curb appeal". Regardless of how you approach the exterior of your house, you need to consider these three things. It is absolutely imperative that the exterior of your house and the yard are both clean. Sweep the deck, rake the leaves and pick up any outside clutter. Bags of garbage should not be visible, and see if any concrete or wooden areas could benefit from a quick scrub with a pressure washer. Offering a house for sale that needs work isn't that unusual, but you don't want to make it too obvious right from the get-go. Unless you are truly selling as a fixer-upper, invest a little time and money to fix the most obvious external issues. Damaged steps, cracked concrete, split siding and loose shingles will all give a depressing message to people coming to see the house. Unless they are in good shape, many yard features are more of a detriment than a benefit. A screened gazebo is a fantastic selling point, as long as it doesn't have ripped screens or a lop-sided frame. In your hurry to improve your home, make sure you're not actually adding problems because of hasty work or second-hand quality. Even if everything is spotless, people can be quickly turned off when they see things that are going to mean a lot of work for them in the future. Swimming pools can be a double-edged sword in this regard, as they can be a fantastic selling feature as long as the potential buyer doesn't mind all the expense and effort that goes into maintenance. You probably won't want to actually remove any high-maintenance feature but think about this when you consider new renovations to sell your house. 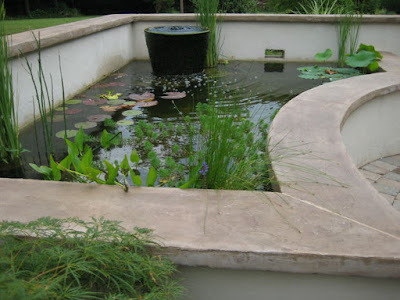 A fancy koi pond, elaborate yard lighting system or a huge flower garden will tell visitors that there is more work in store for them if they buy your house. Yes, these are lovely things that can be attractive, but are they going to potentially turn away some potential buyers? Instead, choose fixtures or features that may have less glam to them but don't represent too much work either. It's not necessarily about what your house has on display, but how it all looks. Follow these tips and you'll be impressing visitors before they even get out of their cars. While the rest of the world welcomes in the spring months, the temperatures are soon set to drop in Australia. Of course, our autumn and winter seasons won’t see the extreme temperature drops you’d experience in a place like New York City, but wooly socks and an extra layer are still usually in order in most parts of the country! We’re going to take a look at a few things you can do around the house that will help keep some precious heat locked in. Of course, before we know it, the temperatures will be scorching again - so these suggestions are ones that will work great whatever the weather throws at your home! A lot of people associate double glazing with keeping a house warm, but it can also prevent cold breeze infiltrating your home and making the temperatures drop! Our main concern right now is keeping the temperature up, and there are few home improvements you can make that are more effective at this than double glazing. It’s estimated that around 60% of the heat loss your average home experiences takes place through the windows, so if you haven’t gotten round to installing this handy extra insulation, now might be about the time to do it! If you want to insulate these areas around your window further, then you should cover them. This, of course, means using curtains! The problem with curtains, however, is that it becomes difficult to control how much light comes in and where. Shutters combat this problem by allowing you to adjust the light levels that enter the house, as well as the air flow. This is also what makes them so useful during the warmer months, too, which is what most people associate their usefulness with. But just like double glazing, shutters can help in both temperature extremes! Whenever the temperature is about to change from one ‘extreme’ to another, it’s always worth giving your HVAC system a good check. Dirt, dust, rust - all of these things can build up in there over time, severely damaging the efficiency of the system. When you need the heating on, an accumulation of foreign materials can create an odd odor. (There’s also somewhat of a fire risk; not big enough to make an immediate fuss over, but a fire risk of any size is probably not something you want around your house.) Of course, getting the system inspected and fixed up will also be good for the air conditioning and ventilation when things warm up again! Some strategically-placed vegetation can actually help with the temperature of your home all year round. The best kinds are tall and wide ones - trees are an obvious one that come to mind! These can act as a sort of awning, helping you block the cold winds (they’re essentially acting as windbreaks.) These help when the temperature rises back up because they keep the sun’s rays from hitting your windows and walls, which is basically what turns your home into an oven during summer!